Wellington, FL -As the sun rose over the Jim Brandon Equestrian Center in Wellington, FL the Gold Coast Dressage Opener CPEDI3* commenced. 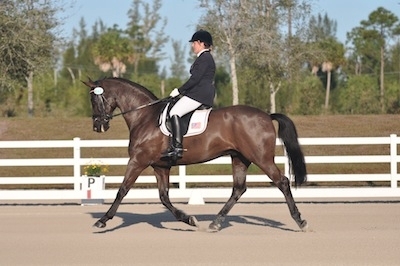 Twenty-three para-equestrian dressage riders from seven countries vied for top scores under F.E.I. judges Carlos Lopes (POR), Hanneke Gerritsen (NED), and Marc Urban (BEL). For two weekends, beginning with the Gold Coast Dressage Opener CPEDI3* and ending with the Wellington Classic Sunshine Challenge CPEDI3*, para-equestrian dressage riders have the opportunity to earn their qualifying scores and increase their international rankings before the 2012 London Paralympics. For each country the next two weekends will mark the closeout of the team rankings before London. Dueling for the top positions in Friday's Team Test were Canada and the United States. Competition will continue Saturday with the Individual Test, and end Sunday with the Freestyle competition followed by the awards ceremony. The first of four para-equestrians representing the United States was rider Mary Jordan (Grade IV) of Wells, ME aboard Sebastian, para-equestrian Dale Dedrick (Grade II) from Ann Arbor, MI on Bonifatius, Rebecca Hart (Grade II) of Erie, PA aboard Lord Ludger and Jonathan Wentz (Grade Ib), NTEC Richter Scale from Richardson, TX led by Chef d'Equipe Missy Ransehousen.. The United States team set the pace with the first ride of the day from Mary Jordan beginning at 8:30 a.m. on her team horse Sebastian. She noted, "Sebastian went pretty well today. I had a morning ride at a beautiful facility, on a great horse. However, I am looking to produce even more out of him." Mary has kept a tight schedule since December when she headed to Melbourne, Australia. "I went from Australia, to having Christmas, and then shipped both horses, Sebastian and P. Sparrow Socks to Florida," commented Mary. "It definitely took a lot of work to get down here but it was worth it. There is no substitute for becoming seasoned, the more experience we get and the more competitive mileage we gain at this level will continue to help us grow as individuals and as a team." 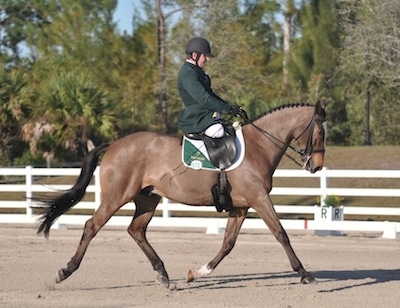 Jonathan put forward two steady tests aboard team horse NTEC Richter Scale and Bavarian Warmblood NTEC Jabriel. "Our goal was to use Richter as the safe choice for the team and he played it safe and executed a nice test," noted Jonathan. "Even on a bad day Richter is still consistent." He continued, "I am looking forward to the rest of this weekend and especially next week's CPEDI3*. Saturday's individual test ramps up even more, the turns become tighter, and each test presents a new set of challenges. For me it's about keeping steady and working hard, and those goals come easy with my trainer Kai Handt, his assistant Coach Happy Comly, and of course owners Julia Handt and Rachel Zent." 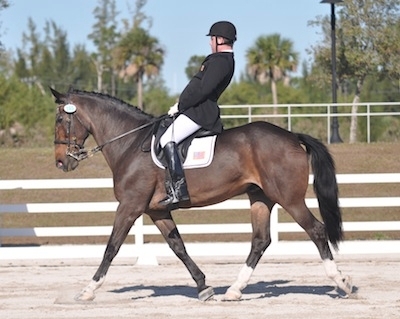 For rider Dale Dedrick and Bonifatius a score of 69.318% would capture the top score for the United States. "It was one of those tests that was quite even," smiled Dale. "I like to ride a steady test on the first day because Erik is a horse than can get enthusiastic and sometimes he will volunteer a little more than necessary. Since we rode a test that was balanced and correct I now know he is listening. Saturday will be about going deep in the corners, making sure the transitions are correct, and perfecting the details. For the team I know we have a great group of people that top riders that will perform their best this weekend." 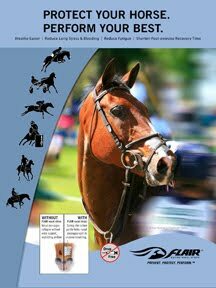 Rounding out the United States team was top rider Rebecca Hart aboard Lord Ludger. "I was quite happy with him," said Rebecca. "There was a lot of outside stimuli and he handled it beautifully. I enjoyed the team test competition today and I also enjoyed riding my relatively new mount Hugh Knows." Hugh Knows was a prior event horse owned by Jacqueline Mars. Rebecca is planning to continue to grow with both horses as they make their way to selection trials this summer. 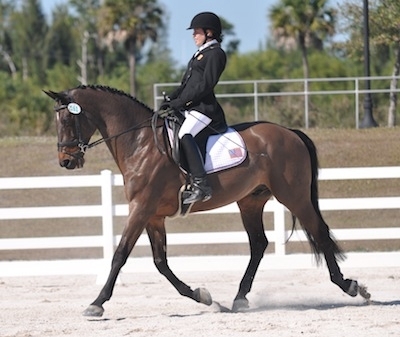 Representing the Canadian team at the Gold Coast Dressage Opener CPEDI3* was Madison Lawson on McGuire (Grade IV), Lauren Barwick aboard Off To Paris (Grade II), Ashley Gowanlock and Ferdonia 2 (Grade Ib), and Jody Schloss on Inspector Rebus (Grade Ia). With Canada and the United States dueling for the top placing, Chef d'Equipe of Canada, Elizabeth Quigg, was very happy with the team's results. She noted, "The team went as well as expected and we are hoping to maintain that through the next six months. We brought a lot of people down to Florida so they could get more experience with the two shows back to back. It is also a good opportunity to assess everybody from the winter but we have a long way to go till August." Jody Schloss responded, "I am looking forward to the next week as well. 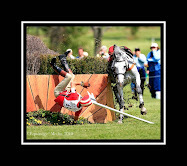 We all ride really hard and I think our marks showed that." 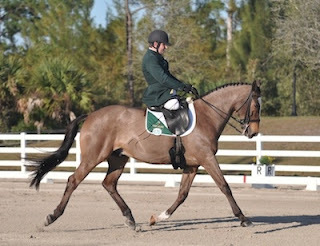 Excelling in Grade IV with a winning score of 68.75% James Dwyer of Ireland and his trusty gelding Orlando. James remarked, "I was overall pretty happy with my ride today. There are a few little things here and there that we need to work on but overall all he was really good and I couldn't have asked for more." 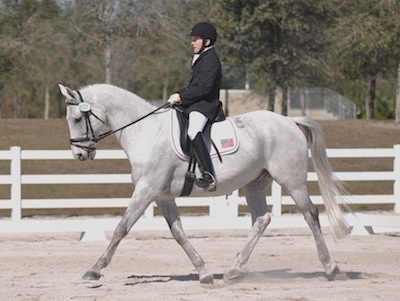 Like many of the para-equestrian dressage competitors James will stay through the two weeks of competition. After a short break he will head to Europe with Orlando where he will show in France, Belgium, and Germany in preparation for the 2012 Selection Trials. As the weekend continues riders from the United States, Canada, Ireland, Finland, Bermuda, Japan, and Mexico will compete in Saturday's Individual competition followed by Sunday's Freestyle and awards ceremony. or contact Noreen O'Sullivan (561) 714-9026.